Researchers have modified the protein Nurr1 so that it can enter cells from the outside. Nurr1 deficiency may be one of the causes of Parkinson's disease. Even though Nurr1 has been discussed as a potential target for the treatment of Parkinson's disease, it is unusable in its normal form, as it cannot penetrate cells. A team from Ruhr-Universität Bochum and the US-American National Institutes of Health (NIH) deployed a bacterial import signal in order to deliver Nurr1 into cells. The researchers also demonstrated that the modified protein may have a positive effect on the survival of dopamine-producing nerve cells. They describe their results in the journal Molecular Neurobiology from 18 August 2018. 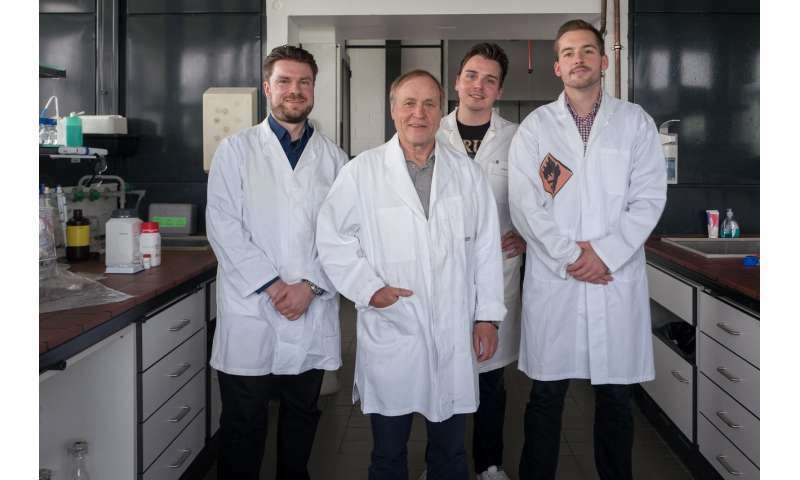 For the study, Dennis Paliga, Fabian Raudzus, Dr. Sebastian Neumann, and Professor Rolf Heumann from the work group Molecular Neurobiochemistry collaborated with Professor Stephen Leppla from the NIH. Nurr1 is a transcription factor; this means the protein binds to DNA in the nucleus and regulates which genes get read and translated into proteins. Thereby, it controls many properties in cells that produce the neurotransmitter dopamine and that are affected in Parkinson's disease. Dopamine withdrawal in certain brain regions is responsible for the slowness of movement that is associated with the disease. Since the Nurr1 protein does not usually have the capability of entering cells and, therefore, cannot take effect in the nucleus, the researchers were searching for ways of furnishing the protein with an import signal. They found what they were looking for in bacteria and attached a fragment of a protein derived from Bacillus anthracis to Nurr1. In the bacterium, that protein ensures that the pathogen can infiltrate animal cells. "The fragment of bacterial protein that we used does not trigger diseases; it merely contains the command to transport something into the cell," explains Rolf Heumann. Once the modified protein has been taken up by the cell, the bacterial protein building block is detached, and the Nurr1 protein can reach its target genes by using the cell's endogenous nuclear import machinery. The researchers measured the effect of functional delivery of Nurr1 by monitoring the production of the enzyme tyrosine hydroxylase. That enzyme is a precursor in dopamine synthesis – a process that is disrupted in Parkinson's patients. Cultured cells that were treated with modified Nurr1 produced more tyrosine hydroxylase than untreated cells. At the same time, they produced less Nur77 protein, which is involved in the regulation of programmed cell death. Moreover, the researchers tested the effect of modified Nurr1 on cultured cells that they treated with the neurotoxin 6-hydroxydopamine. It causes the dopamine-producing cells to die and is thus a model for Parkinson's disease. Nurr1 inhibited the neurotoxin-induced degeneration of cells. "We hope we can thus pave the way for new Parkinson's therapy," concludes Sebastian Neumann. "Still, our Nurr1 fusion protein can merely kick off the development of a new approach. Many steps still remain to be taken in order to clarify if the modified protein specifically reaches the right cells in the brain and how it could be applied."